I really felt the need to write this post as whenever I put any Superdrug products onto Instagram and tag them #vegan I get so many messages from people not realising that ALL Superdrug own brand products are Vegan, Vegan Skincare, Vegan Make Up, Vegan Body care, the list is endless. Due to the success of all things Vegan Superdrug actually have a pop up shop in London's Shoreditch that is purely dedicated to showcase their Vegan Beauty. Cruelty Free and Vegan has become so important in the last few years, and consumers are now much more aware of ingredients and how the products are actually produced it has become an important topic. I bet If I asked 10 people which high street drugstore provided all cruelty free own brands, possibly 3 could answer. So if cruelty free and vegan is important to you, then you can buy in confidence. One of the things I actually love about this is that historically if you wanted healthy cruelty free products you had to pay through the nose in and expensive health food store, and in truth the products weren't always what you wanted or gave the same quality as high street make up in terms of pigments or fashion. I stock up on offers from Superdrug when they have promotions, which is in fact weekly!!!! Shower Gel at 79p yes please, we have a literal stock pile here. Shown here are just a few samples of the range, I have linked where possible any blog posts I have written about these products, also it is worth remembering that Superdrug champion other cruelty free brands such as Gosh, Elf, Bilou etc. It is always worth looking out for the bunny on the back of a package you could be pleasantly surprised at what you may find! Read about Superdrug Vitamin E Hot Cloth Cleanser here. 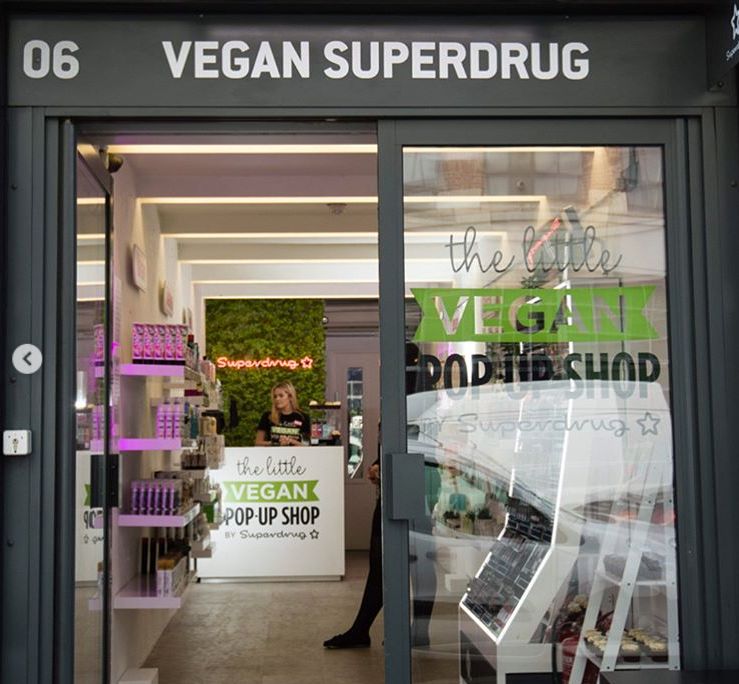 So now there is no need to be seen as a "weird hippie" just because you want cruelty free vegan beauty, it is becoming the "norm" and Superdrug is quietly leading the way with it's forward thinking results. Post contains both brand/agency samples also products that I have purchased.